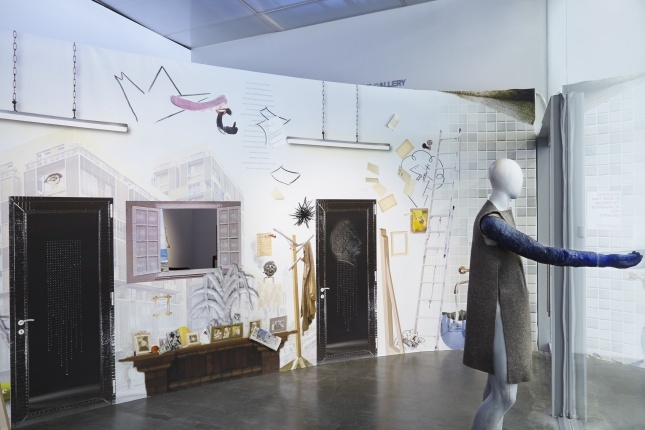 The New Museum hosts the first solo museum presentation in the United States of the work of artist Laure Prouvost, featuring a new, immersive installation for the New Museum’s Lobby Gallery. In her films and installations, Prouvost unhinges commonplace and expected connections between language, image, and perception. Stepping away from traditional linear narratives, she exposes the unstable relationship between imagination and reality, and opens up a space where audiences can engage provocatively with surreal aspects of meaning. In her films, she often addresses viewers directly, manipulating their senses through a barrage of fast-paced moving images, directive texts, and interspersed clips of sound to achieve a physical experience. In recent works such as The Artist (2010), Farfromwords (2013), and Wantee (2013), which won her the 2013 Turner Prize, Prouvost expands the scope of her disorienting and whimsical modes of display, creating all-encompassing environments that interweave elements of sculpture, painting, and drawing amongst her films. 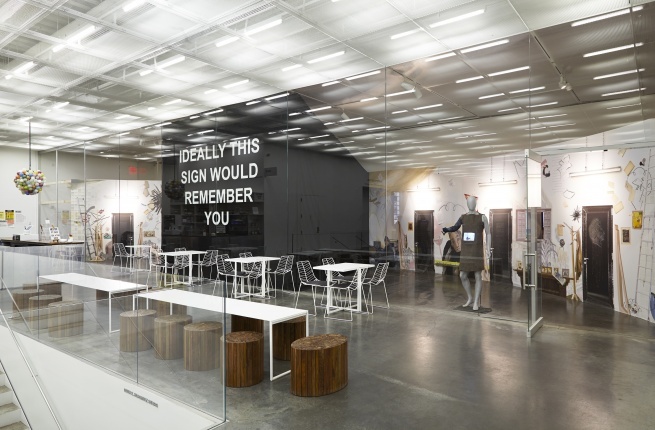 For her New Museum presentation, Prouvost presents “For Forgetting” (2014), a new work that will include a semicircular collaged mural, a multichannel video installation, scattered sculptural elements, and a film, How to Make Money Religiously (2014). Centering on the problems as well as the possibilities of memory and forgetting, the piece addresses the arbitrary distinctions that can be ascribed to power and possession. “For Forgetting” expands Prouvost’s multilayered investigation of the slippages between systems of communication, and conjures diverse interpretations dependant on how one perceives or remembers the story. 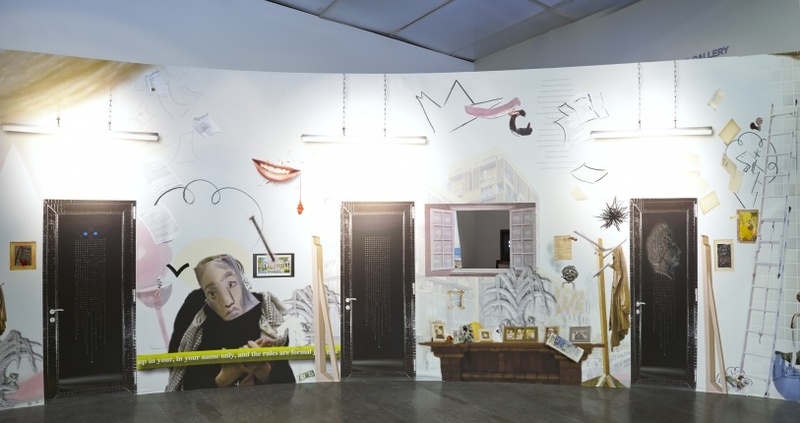 “Laure Prouvost: For Forgetting” is on view at the New Museum from February 12–April 13, 2014, and is curated by Margot Norton, Assistant Curator. Born in 1978 in Lille, France, Laure Prouvost lives and works in London, UK. Her work has been exhibited at the Tate Britain, London, Whitechapel Gallery, London, CCA, Glasgow, Portikus, Frankfurt, and the National Centre for Contemporary Arts, Moscow. She has screened work in film festivals internationally and won the Principal Prize in both the 56th and 57th International Short Film Festival Oberhausen. In 2013, Prouvost was awarded the Turner Prize for her piece Wantee (2013) and the Max Mara Art Prize for Women with exhibitions at Whitechapel Gallery, London, and Collezione Maramotti, Reggio Emilia, Italy. Her work for the Turner Prize is on view through January 2014 at CCA Derry-Londonderry, Northern Ireland, and Prouvost has upcoming exhibitions at Laboratorio Arte Alameda, Mexico City, Fahrenheit, Los Angeles, Extra City Kunsthal, Antwerp, and Neuer Berliner Kunstverein, Berlin. The Producers Council of the New Museum is also gratefully acknowledged. This exhibition is also made possible, in part, by the Toby Devan Lewis Emerging Artists Exhibition Fund.